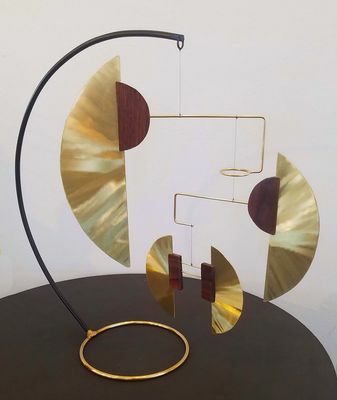 The "Brass Woods" Desktop mobile is a new design by Joel Hotchkiss just introduced in 2019. 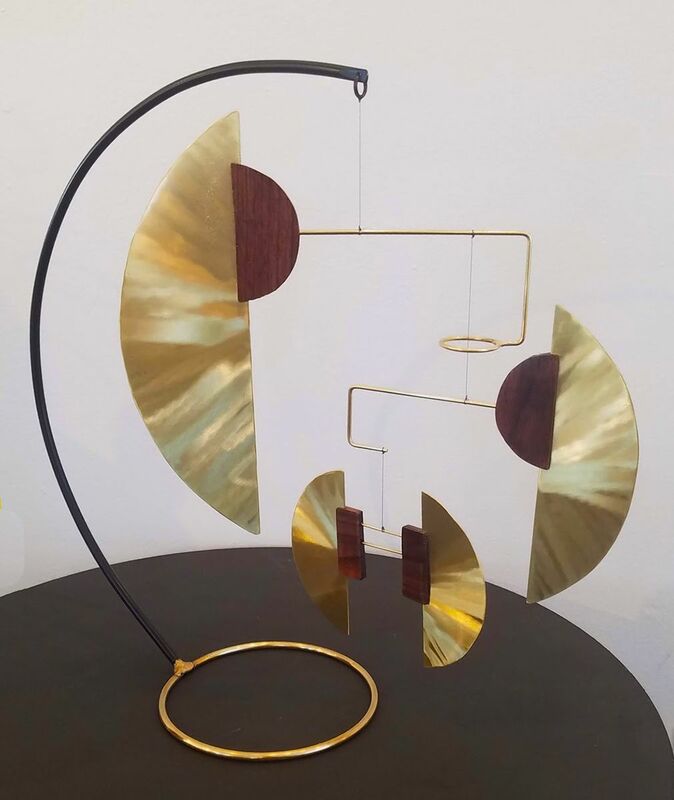 The Walnut and Brass design is brushed to create reflective flutes that change as the mobile rotates. 18"H x 18"W. Signed and dated by Joel Hotchkiss. Shipped pre-balanced and packed ready to display.